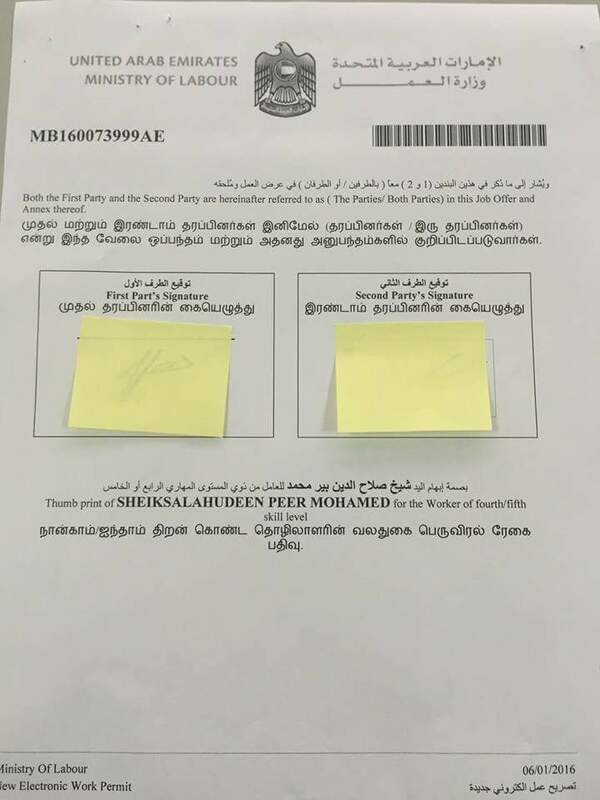 F-039 Labour contracts in United Arab Emirates (UAE) are in Arabic, English and Tamil (2015). 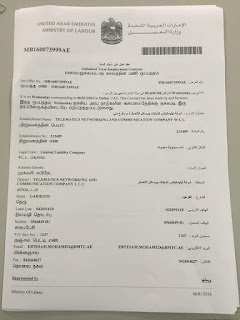 Thank you UAE. 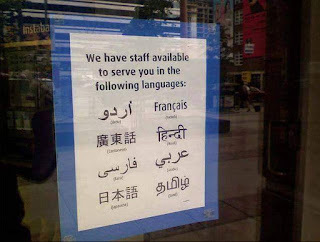 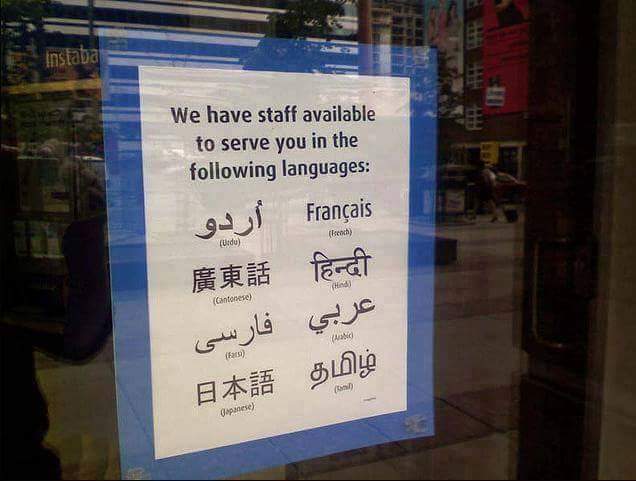 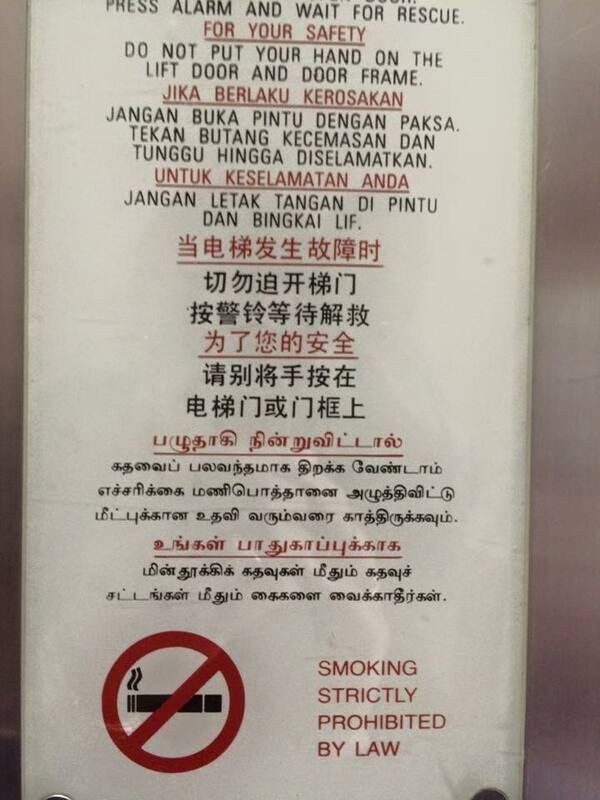 We are ever thankful for respecting our language. F-057 US Consulate in Chennai issued condolence for Abdul Kalam in Tamil and English. 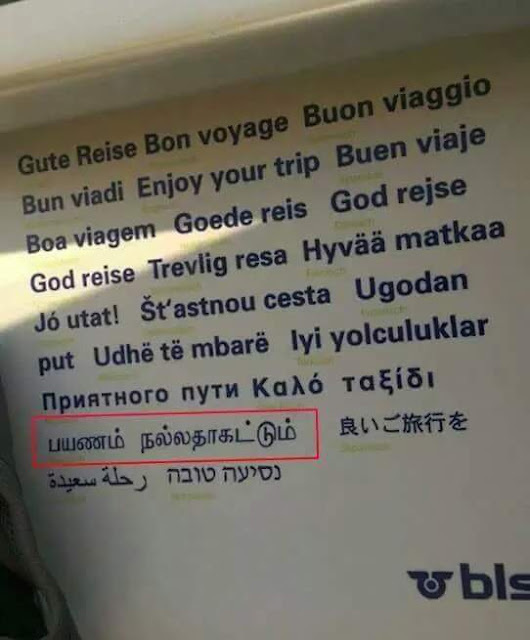 F-058 Tamil in Swiss railway (BLS AG is a Swiss railway company) 2015. 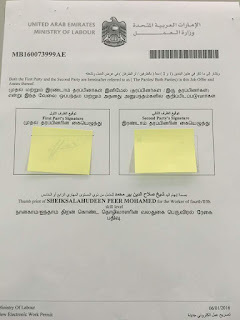 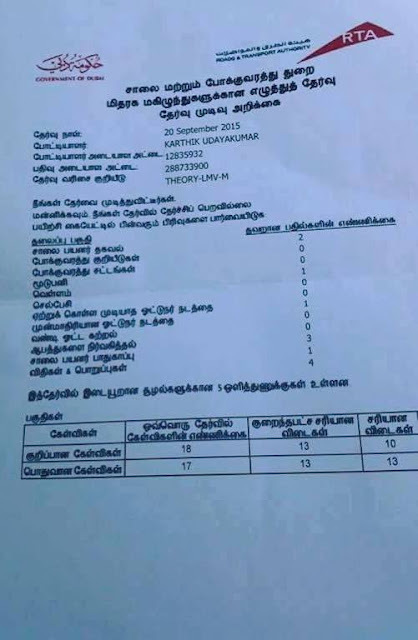 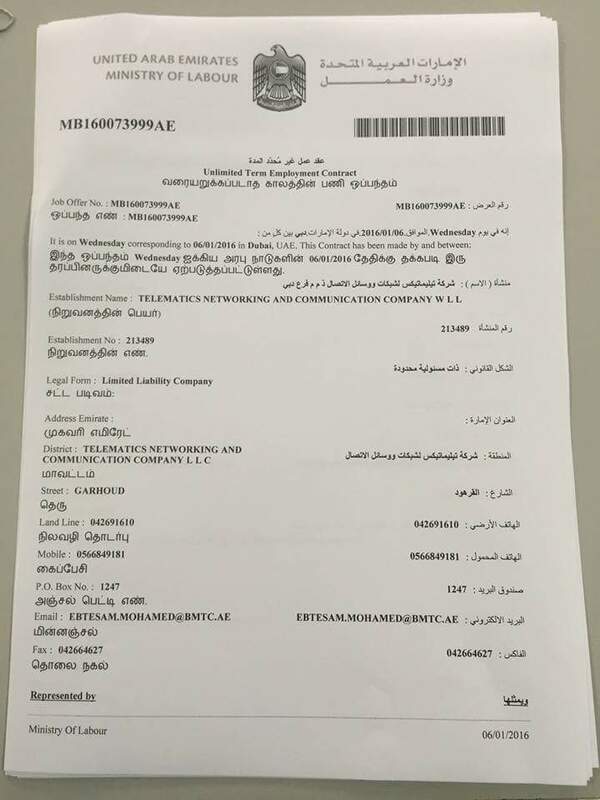 F-059 You can write drivers test in Tamil in Dubai (2015). 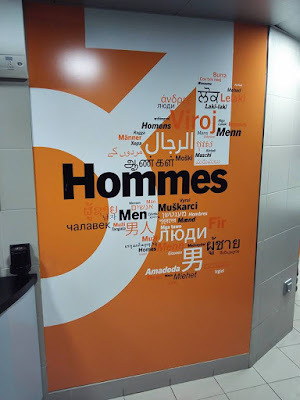 F-064 Multilingual sign board inside Eiffel Tower (Paris, France) (2015). 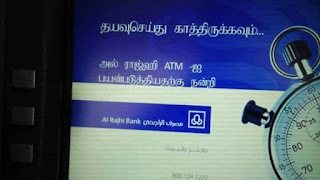 F-066 The Saudi Arabian Bank Al Rajhi offers Tamil option (2016). 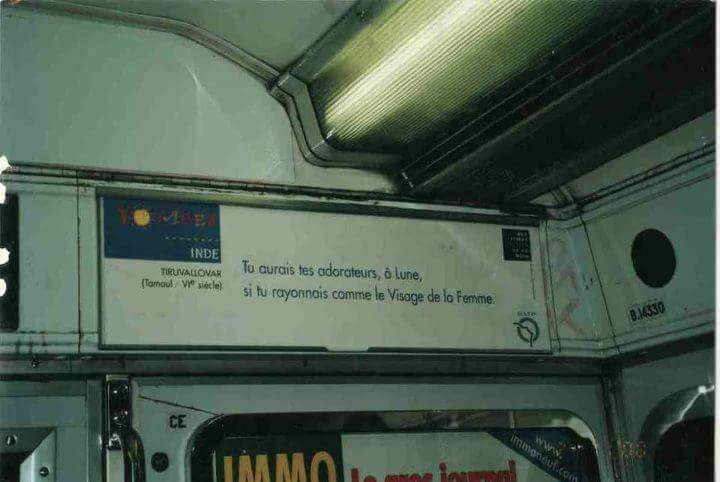 F-071 French translation of Thirukural is displayed in some trains in France (2016). 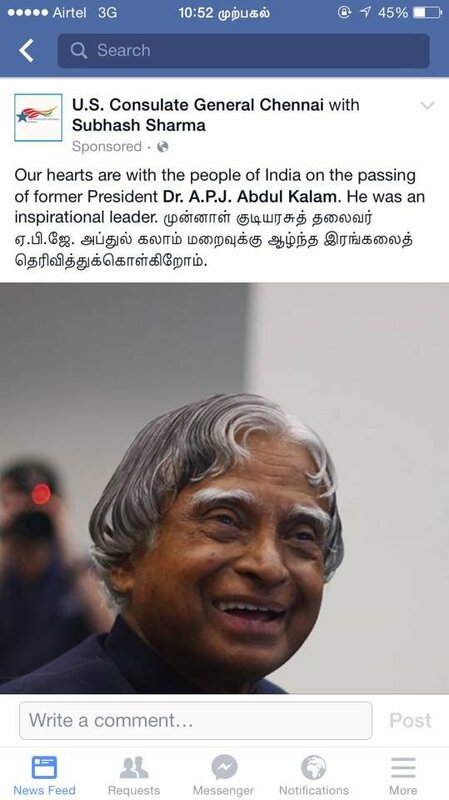 Will the Indian government trains honour the great Tamil poet?